Editor’s note: This post is a Care2 Favorite. It was originally published on November 27, 2013. Enjoy. Despite how it may seem, the United States does not own the patent on Thanksgiving. 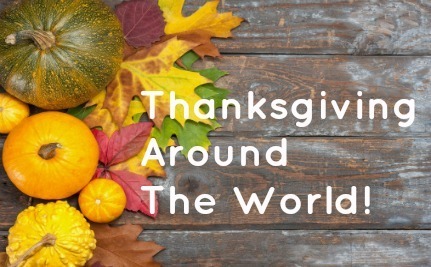 Sure, we go way overboard with the made up tales of pilgrims and Indians, and massive turkey dinners (although it’s far more likely the first Thanksgiving table was set with venison and fish), but we’re not the only country with a day set aside for gratitude. In fact, such observances are known to have been held by the ancient Egyptians, Greeks and many other cultures throughout history. In modern times, nearly every nation in the world has a holiday that celebrates the harvest abundance, being grateful for blessings, or a combination of the two. 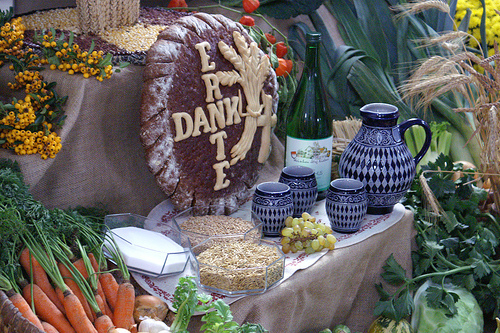 Unlike Thanksgiving in the U.S., the Germanic Erntedankfest (“harvest festival of thanks”) is primarily a rural and a religious celebration. It’s typically observed on the first Sunday in October, but festivities range from late September to late October. When celebrated in urban areas, it’s usually marked by church services, and not much else. Erntedankfest meals typically feature rooster, goose or, more recently, turkey. Chuseok is the biggest and most important holiday in Korea, one of only four that are celebrated nationally. Chuseok is “celebrated on the brightest full moon of the year, which occurs on the 15th day of the eighth month on the lunar calendar, landing somewhere between September to early October on the solar calendar,” according to allkpop. 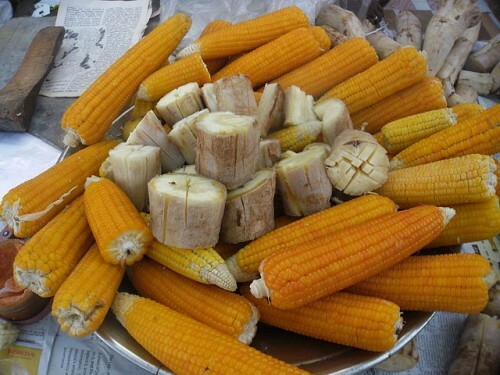 On Chuseok Day, Korean families prepare dishes made from the year’s fresh harvest. 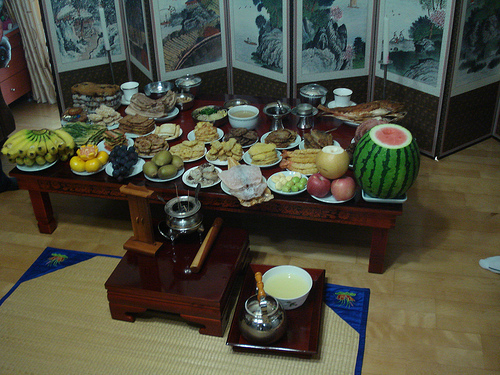 The food is set out on a table (above) as a token of thanks to their ancestors. After the meal, families visit their ancestors’ graves and engage in Beolcho, a ritual of clearing the weeds that may have grown up over the burial mound. After dusk, it’s time to take a walk or play folk games such as Ganggangsullae (Korean circle dance). While there are many different harvest festivals observed throughout the country of India (Pongal, Baisakhi, Lohri, Onam), there is a special alternative Thanksgiving celebrated by Christians in Goa. 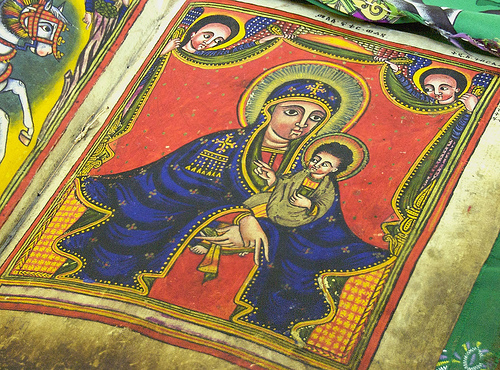 Called “Ladainha” or “Ladin,” which means the Litany of the Virgin Mary, this holiday is a time when people express gratitude and indebtedness for having been entitled to God’s Grace and abandon on earth. Every year, the holiday is sponsored by a community member who either seeks benefits or feels they have received God’s special grace. A temporary platform/altar is built and decorated with flowers, vines and creepers. Believers sing hymns and say prayers together. 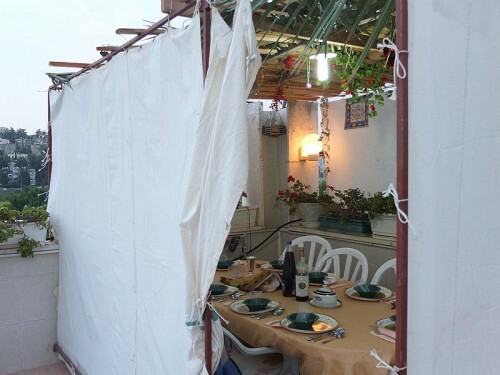 Also known as the Feast of Booths or Feast of Tabernacles, Sukkoth was first celebrated around 3,000 years ago. Beginning five days after Yom Kippur, this festival commemorates the fact that Moses and the Israelites lived in huts or succots in the desert before reaching the Promised Land, and that farmers lived in sukkots in the fields during the harvest. Jews all over the world erect small outdoor tents during this time. Inside, fruit and vegetables are hung as decorations, and families enjoy meals together while giving thanks. Images: Thinkstock, bux, rowan peter, adavey, gilabrand, Surya Prakash.S.A. Here is an alternative- vegan thanksgiving! 5 Is It Time to Take the Abortion Battle Hyperlocal?